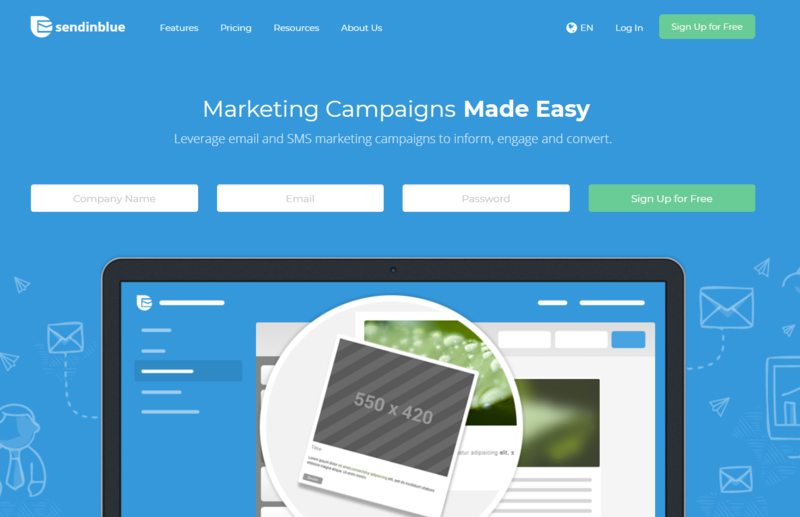 Looking for a way to run your email marketing efforts without breaking the bank? The free email marketing services on this list all let you send thousands of emails per month without spending a single penny. SendinBlue main headquarters are in France, so you’re guaranteed to comply with GDPR. It also has a decent free plan along with support for SMS text message sending all in the same dashboard. How many emails/subscribers do you get for free? The free plan lets you have an unlimited number of contacts, but you’re limited to 300 emails per day. For that reason, it might not be a great option if you want to send out email blasts to all your subscribers at the same time. However, if you have lots of drip campaigns, it’s quite flexible because there’s no subscriber cap. The first upgrade is called the Lite plan, which offers 40,000 emails per month at $25 per month. The daily sending limit is removed. 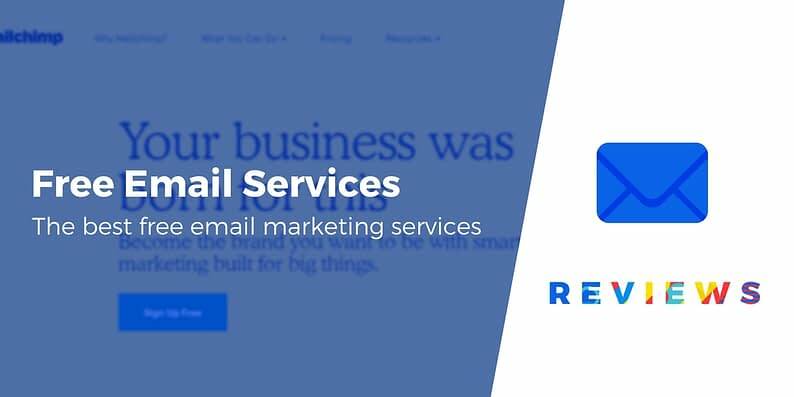 What makes this one of the best free email marketing services? A strong drag and drop email editor. Impressive automation with things like coupons in emails and abandoned cart messages. Integrations with platforms like Shopify, Salesforce, and Intercom. Heat mapping and A/B testing to see how your emails are doing. SMS marketing that can be linked to your email campaigns. A feature-rich WordPress plugin that lets you manage everything from your WordPress dashboard. Because of the way the free plan works, SendinBlue is a good option if you have lots of subscribers but you don’t need to email them all at the same time. It’s also a good option for WordPress users because of its official plugin and it has better analytics than many of the other free email marketing services. MailChimp is a favorite of many bloggers and small businesses because it was one of the first big email services to offer a completely free plan. Not only that, but Mailchimp has some excellent eCommerce and automation tools. The free plan includes 12,000 emails per month for up to 2,000 subscribers. If you would like to upgrade to unlimited emails it costs $10 per month–the catch is that you can only have up to 500 subscribers–which isn’t the case for some alternatives. The drag and drop builder, along with the beautiful templates, are some of the best in the business. MailChimp has tools for Instagram and Facebook ads and posts. Connect with tools like Shopify, Eventbrite, and Salesforce. The automation tools include options for abandoned carts, welcome campaigns, and product recommendations. A/B testing and segmentation make your emails more effective. We like MailChimp for any small businesses and bloggers that appreciate great designs. 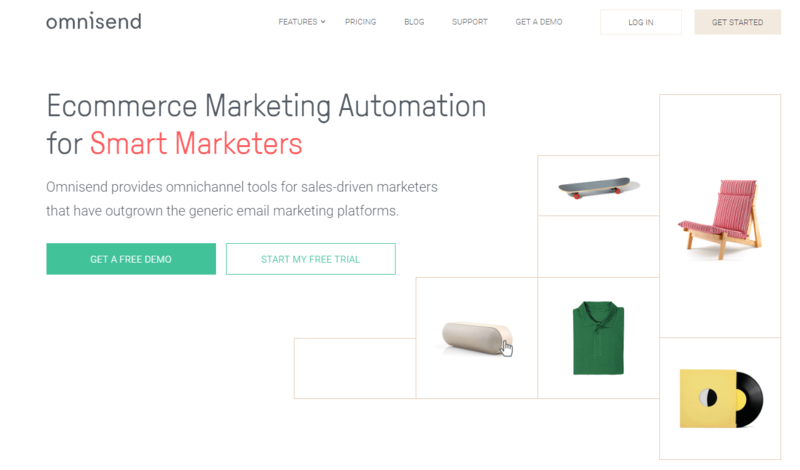 It’s also nice if you have an eCommerce store or plan on automating emails. 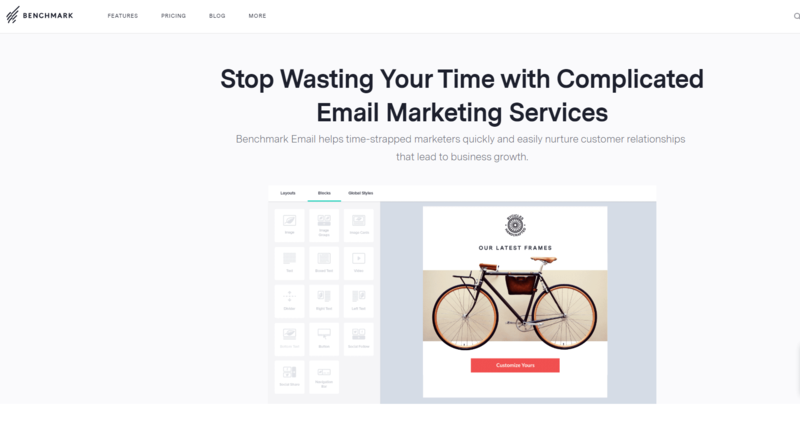 Benchmark boasts a speedy email designer made just for busy marketers. 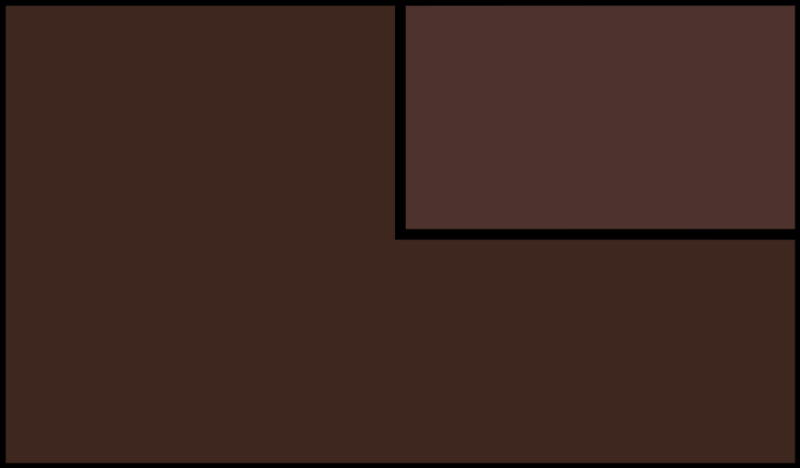 You can edit photos right in the editor and the templates are great for a wide variety of businesses. The free plan lets you have up to 2,000 subscribers and send up to 14,000 emails per month, which is almost exactly what you get with MailChimp. If you’d like to upgrade, you can start with 600 subscribers and unlimited sends per month for $13.99. The 14,000 sends per month (for the free plan) is pretty darn good. It doesn’t take much time to build an email campaign. You can easilly custom code your emails. The automation options include welcome emails, abandoned carts, and follow-ups. Polls and surveys are included. You receive tools for A/B testing and integrating with hundreds of apps. Since the free plan is one of the best on the market, I would recommend it to those who can’t afford to pay anything for an email marketing tool. Otherwise, it works well for bloggers and eCommerce stores. OmniSend is a must for those who are only running online stores. 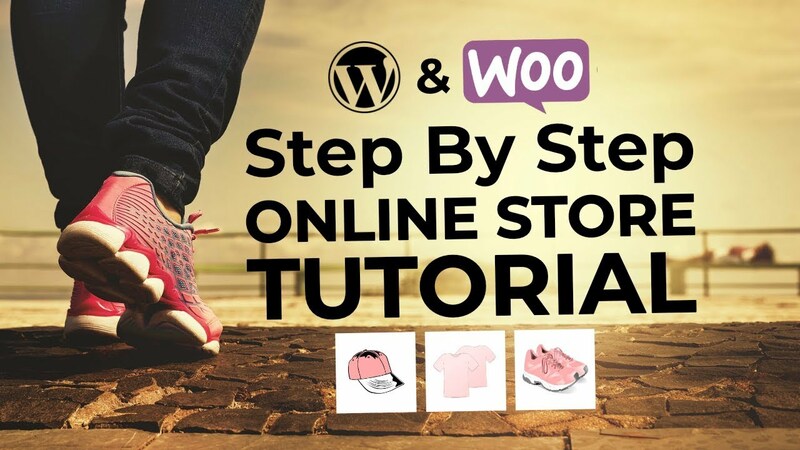 It quickly pulls products from your store and generates beautiful and fun emails and opt-in forms to grow your email list. The free plan offers you 15,000 emails per month and 2,000 emails per day. It doesn’t matter how many subscribers you have. Upgrading depends on whether you need more emails per month or more advanced features. The first option is $8 per month for 500 subscribers and 15,000 emails. The email count and pricing goes up with more subscribers. The free plan is a steal and the upgrades are rather flexible. The eCommerce integrations instantly pull products you want to sell into the email. It has creative signup forms like popups, landing pages, and a wheel-of-fortune game. Send out discount codes or scratch cards. Send out automated emails for abandoned carts and order confirmations. OmniSend is a great free option for eCommerce stores. You can still use it if you’re not running a store, but you’ll miss out on a lot of the unique features. 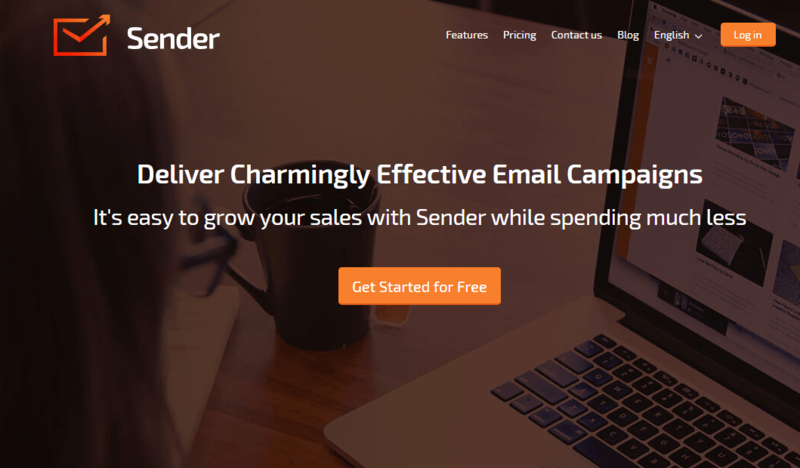 Sender is yet another email service with a wonderful free plan. It also offers push notifications to go along with its segmentation, integrations, and stunning designs. The free plan lets you have up to 2,500 subscribers and send 15,000 emails per month. The next upgrade is $10 per month for 5,000 subscribers and 60,000 emails per month. It has plugins for most popular content management systems. Video gets converted into animated GIFs inside emails. The analysis tools include click maps and Google Analytics. Adding eCommerce products is done by quickly copying and pasting links. Sender has some wonderful tools, but I like it best because the pricing remains fairly low as you upgrade. For my final recommendation, I’d argue that MailChimp is the best all-around free platform. That is if you’re okay with the limit of 2,000 subscribers. If you prefer to be able to send to an unlimited number of subscribers then SendinBlue is going to be your choice. I also like their SMS feature. If you’re running an eCommerce store, you have to try out OmniSend. Have any other questions about the best ways to get started with email marketing on a budget? Let us know in the comments section!